Description: Blue Impulse Mission: Learn 20 aerobatic maneuvers and become a member of the elite Blue Impulse team. You will learn loops, rolls, and more while flying both solo and in formation. Sky Mission Attack: Fly through a series of targets suspended in mid-air before time runs out. Free Flight: Fly around and freely explore the landscape. Multi Play: Up to 4 players can perform in formation simultaneously. 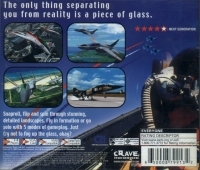 Box Text: The only thing standing between you and reality is a piece of glass. Snaproll, flip, and spin through stunning, detailed landscapes. Fly in formation or go solo with fives modes of gameplay. Just try not to fog up the glass, okay? 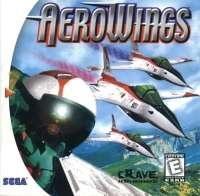 This is a list of VGCollect users who have AeroWings in their Collection. 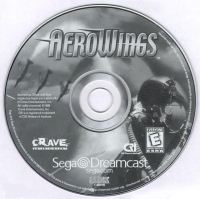 This is a list of VGCollect users who have AeroWings in their Sell List. This is a list of VGCollect users who have AeroWings in their Wish List.